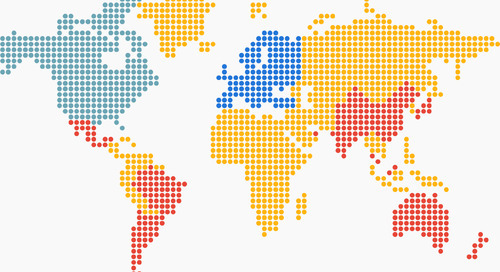 Home » Randstad Sourceright Insights » how well are you aligned with your C-suite? If there is one thing I’ve learned about business leaders, it’s that they don’t like uncertainty. With big elections occurring around the world, last year was a rollercoaster, making organizations question the road ahead. Some companies delayed growth initiatives, while others held off on making critical decisions until they achieved clarity. Fast forward to today. Economic growth is breaking out in many markets around the world, the Dow and FTSE remain strong and a number of major elections in Europe recently occurred. Companies can now assuredly move forward. Clearly, we’ve moved out of the shadows of uncertainty to a new, opportunistic period. There’s a lot to be excited about, unless it’s your job to deliver talent. Why? Organizations still struggle with how best to develop a workforce strategy that optimizes growth. In the latest Randstad Sourceright Talent Trends survey, we’ve uncovered some telling facts. In surveying more than 700 human capital and C-suite leaders in 15 key markets around the world, there is a glaring disconnect between talent leaders and their executives. For instance, half of C-suite respondents believe adopting an integrated talent solution will help their organizations build for the future. However, only one-quarter of HR, talent acquisition and procurement leaders agree. Instead, they see greater value in the efficiencies that an integrated approach can deliver; almost half (45%) state this view. Fewer than one-third of C-level executives see efficiencies as the main driver for adoption, focusing instead on the strategic value that an integrated approach will deliver to the business. There is also a clear difference of opinion when it comes to how organizations should invest in talent. Among C-suite leaders, robotics is a top priority, but HR and procurement heads view it much less importantly, placing it behind initiatives such as reskilling the workforce and internal talent mobility. If the views of your peers around the world aren’t aligned with their executives, what are the chances your views are? What should concern you most about misalignment is its potential impact on your ability to compete. Some people might see this kind of disconnect as a challenge; I view it as an opportunity. If you can get into the heads of your executives and shift your talent strategy to address business critical issues, you help to eliminate a level of uncertainty. Talent scarcity is a problem for many organizations, but if you can assure executive leaders that you have answers to their concerns through an agile, flexible talent model, they can confidently move ahead with business plans. This is why, as a human capital leader, you can really raise the value of HR for the organization by taking ownership for your company’s business outcomes – just as much as any other leader in the C-suite. So do you have what it takes to help C-suite leaders rest better at night? As with any capability, it starts with market intelligence and an understanding of what’s happening with talent around you. 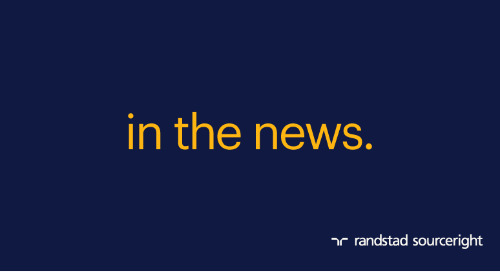 That’s why Randstad Sourceright has launched Talent Trends Quarterly — to keep you ahead of these developments four times a year. It provides a pulse check on what your peers around the globe are doing to maintain a talent advantage. As a benchmarking tool, you can find out what challenges they’re experiencing and which methods and technologies they’re implementing when it comes to workforce strategy. This intelligence will be essential to refining your own strategy. To help you better understand the thinking of C-suite leaders, I invite you to download the latest trend reports. This quarter’s special feature takes a close look at attitudes on employer branding and candidate experience, arguably some of the most important considerations for winning critical talent. You’ll learn what peers are doing to raise the value of their employer brand and what they wished they could do differently when it comes to creating a positive candidate experience. This is information you definitely don’t want to miss. As you look to an exciting quarter ahead, it’s time to focus on aligning your business and talent. The pressure is on, but that’s why you were chosen to be a leader. Now it’s up to you to link market knowledge with strategy and make the win. You can begin by visiting the Talent Trends Quarterly digital hub, where you can find highly detailed and comprehensive insights on the views of your peers. Talent Economy: emerging technologies for recruiting.